I think I can dig it. For a bit my head was preoccupied with finding comics with really great and interesting artwork. Forming kind of does and doesn't do it for me in the art department. I'm a bit split on it. But it could be a relief to read something with a fresh sense of humour. However, I just found (and subsequently ordered) Congress of the Animals by Jim Woodring, so I'm done spending money for a while now. Plus apparently Forming is hella expensive as far as comics go. I'm already stretching it at £15 for the 104 pages of CotA, so £18 and £15 for Forming I and II respectively is a bit daunting. On Saga, I realised after some further thought that I had it mixed up with another comic with beautiful cover artwork which, when I opened it, turned out to have really underwhelming quality of art. Looking at Saga panels now on Google images, it's not the same series. And looking at the price, 5 volumes doesn't look like much of a setback actually. Maybe eventually. Both of those are on my radar. Currently I'm just looking forward to receiving the comics I've ordered, as well as looking toward getting the next couple volumes of the Monster reprinting and volume 5 of Sunny, when it's available to buy from Amazon. So far, every Image series I've bought in trade form has had vol 1 for 10$ and every other volume after that for 15$. Its smart to get people into a new series by making the first volume super puppying cheap. And even then, 15$ for a full 5-6 issues is fantastic as well. Just bought and read The Wicked + The Divine volume 1. Was super good. That is all. Yeah I picked up volume 2 this week it's great so far too!! Eleanor Davis's book I mentioned up there was really neat. Lots of good observational comics, alongside sci-fi, fantasy, and comedy. Felt more like a book they keep on the table in coffee shops which you can get something out of at a glance without having to commit to it. 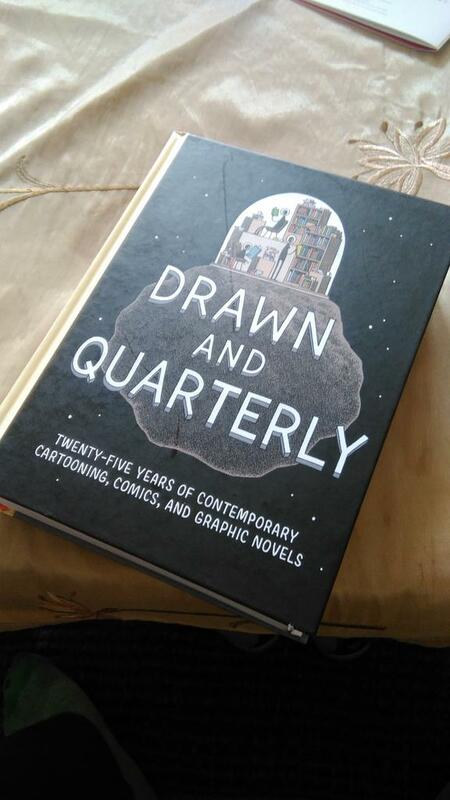 Today I got this ~700 page hardback book with comics and commentary. Felt like it'd be a good way to both branch out my interest, and maybe learn a little too. A friend of mine wrote this comic, and its up for kickstarter, I got the chance to read the script, its a really cool idea about a forgotten writer. The kickstarter perks are pretty cool too, you can get all kinds of extra goodies with the comic. WIc+Div vol 2's ending was just as crazy as the first one's!